Research consistently shows that effective internal communications help increase employee job satisfaction, productivity, morale, commitment and trust. An engaged workforce inspires excellence and results in employees who are motivated and consistently produce good work. As we know, to achieve staff engagement, employees must be kept informed through regular and effective communications that are timely and relevant. 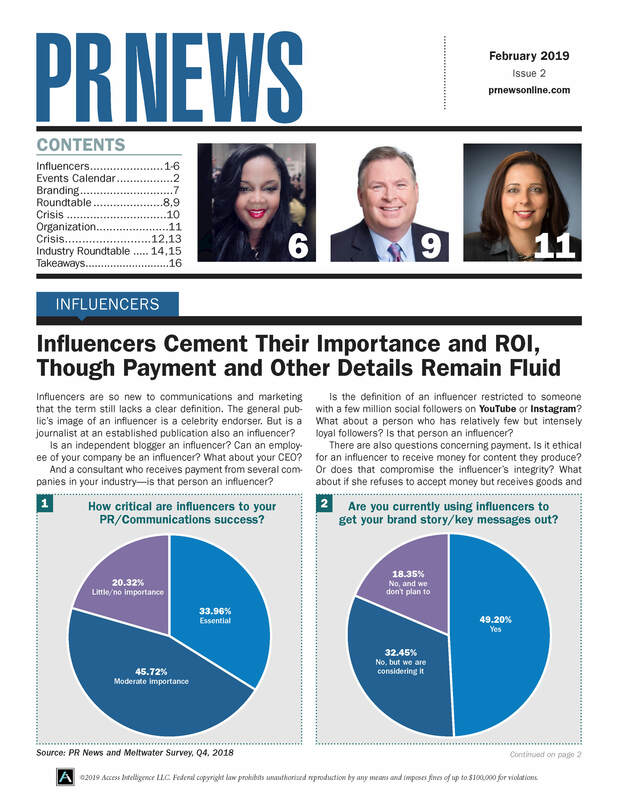 So how can organizations use PR to continually connect with employees? We most often hear about updates to the hardware and software platforms we depend on through a product launch, some early buzz about the next iPhone, updates to the Microsoft Office suite or early leaked photos and video of Snap spectacles. And no matter how many blogs, Twitter handles or newsletters you follow, it seems we are more often than not part of the consumer pool, hearing about these new things as they launch. We’re then left scrambling to adjust our strategies and skill mixes to adapt and adopt so as to not be left behind. What if communicators and IT worked together instead of assuming it was an “us vs. them” scenario? It’s getting to the point where we should start to doubt whether digital privacy is a reliable concept anymore. For PR professionals in particular, it’s time to put that doubt into practice in their internal communications. Email and Twitter DMs are not mediums where one can safely blow off steam or otherwise behave unprofessionally. Though performance varies from group to group, the overall verdict is that “organizations need to help their employees better align with their organization’s strategy.” Conflicting priorities at work, caused by too many initiatives happening simultaneously, cause employees to feel more connected to their profession in general than to the organization that employs them. In the pursuit of harmony and minimizing conflict, people will often go along with the consensus of the group even if they have an alternative idea, or in more extreme cases, think the group’s idea is a bad one. Thus, even without any explicit repression, the opinions of the minority—or even the less-vocal majority—are not heard or taken into account. This is the problem that the term “groupthink” was coined in 1952 to address—”a perennial failing of mankind,” as coiner William H. Whyte, Jr. put it. The one-page document is a digestible way for senior leaders to view quarterly output. In addition to containing a slew of data, the infographic with the “high-tech look” scores points with the senior leaders. Say What? Item 1: Who knew? The fact that you’re not sure whether you are loyal to Lady or the Trump influences how much Starbucks’ coffee you drink. It’s true. Starbucks got creative July 21 in explaining a sales-target miss, its third consecutive whiff. Starbucks’s officials said the quarter was an “anomaly,” owing to terror concerns around the world (sadly relevant), civil unrest (ditto) and political uncertainty in the U.S. (see, I told you—a presidential election reduces the American penchant for caffeinated libations). Kmart employees believe the company is approaching bankruptcy and closing all its locations, despite comments indicating the opposite from its parent, Sears Holdings, Business Insider reported on July 23. After speaking to employees and reviewing an online message board that workers use to communicate with each other, Business Insider found that the recent implementation of “path to profitability” plans left many store-level employees fearing the worst. Many internal communicators have an idea of how to define a remote worker, but a consistent definition often is hard to find. While some believe a remote employee is anyone who does not work at headquarters, this is not really the case. Those who work in a company building, owned or leased, remain highly connected to the brand. The ability of internal communicators to reach them is relatively easy. Remote employees typically are telecommuting from home, embedded at customer sites or working in remote parts of the country. Reaching these employees can be tricky. It certainly is not impossible. A few simple and inexpensive tips will help internal communicators reach them. We live in a mobile world, so mobility is ubiquitous, right? Not so fast. While it’s true that many things are done via mobile apps, it’s not been the case with internal communications (IC). Even some top-flight technology companies are only just now introducing mobility to their intranets via smartphone apps in response to employee demand.